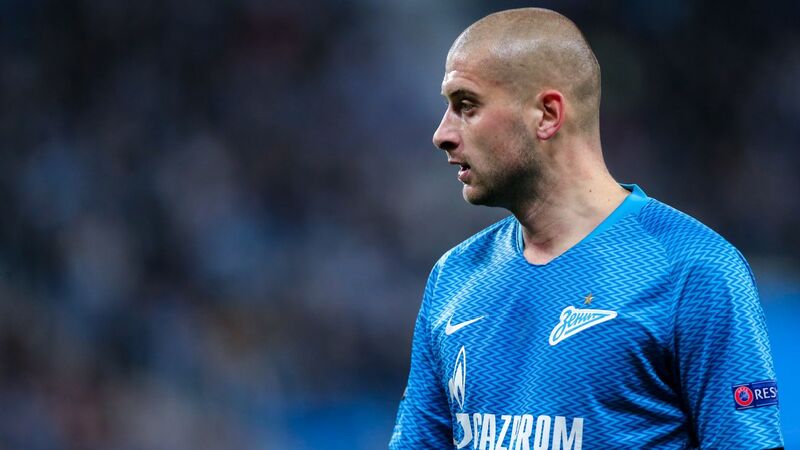 Russia cut defender Ruslan Kambolov, who faced a doping investigation, from their World Cup squad on Monday, saying he injured a calf muscle with Rubin Kazan the day before. Kambolov was replaced on the preliminary squad by 38-year-old veteran Sergei Ignashevich, who came out of international retirement. The RFU said coaches dropped Kambolov, "taking into account the training time [until the World Cup begins] and the possibility of exacerbating the problem." Kambolov was investigated by FIFA this year following the publication of World Anti-Doping Agency investigations alleging Russian officials covered up earlier doping cases. Lawyers for Kambolov said last month his case was closed for lack of evidence, though FIFA hasn't confirmed that. The centre-back Ignashevich has made 120 appearances for Russia but last played for the team at the 2016 European Championship. Russia coach Stanislav Cherchesov said he met on Sunday with CSKA Moscow's Ignashevich, who refused previous comeback pleas. "Ignashevich heard me out calmly," Cherchesov said in a statement. "And today he gave his agreement after the results of Kambolov's examination became clear." Ignashevich said the call was a surprise "but I thought saying yes was the right thing to do," in comments on the team Twitter feed. "After all, it's the World Cup and moreover it's happening in our country. I'll give every effort to help the team." Russia are struggling ahead of the tournament with no wins in their last five games. Since the start of 2016, they have played 13 games against teams who will be at the World Cup and won only once, against South Korea. In Group A, Russia play Saudi Arabia in the opening game of the World Cup on June 14 in Moscow, followed by Egypt and Uruguay. Ahead of the tournament, Russia scheduled friendlies against Austria away on May 30 and against Turkey in Moscow on June 5. Russia's 28-man preliminary squad must be cut to 23 players by June 4.